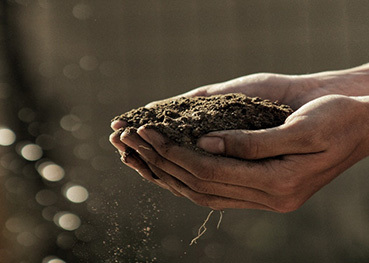 Whether you’re growing grass or growing vegetables, quality soil is essential for good results. However, the very act of growing plants can deplete your soil’s nutrients from one season to the next. That makes end-of-year maintenance essential for getting the ground ready for next year’s demands -- but thankfully, it doesn’t have to cost an arm and a leg. As warm weather is winding down, here’s what you need to do to prepare for a productive spring on a budget. Fall maintenance is essential for a lush green lawn next year. This is the time to reseed bare patches and pull weeds before they go to seed, but a healthy lawn is about more than appearances. Since lawns get compacted from foot traffic over the active summer months, homeowners should aerate lawns each fall to allow air, water, and nutrients to reach plant roots. A garden fork will do the job just fine, but renting or buying a plug lawn aerator speeds up the process. If you want to invest in an aerator, look for promo codes and coupons or in-store savings at stores like Lowes. While it’s common advice to fertilize lawns every year, adding fertilizer to a lawn that doesn’t need it pollutes the local water supply. The Environmental Protection Agency recommends applying fertilizer in moderation and only when necessary. A soil test kit lets you find out if your yard needs fertilization and which nutrients it’s lacking. You’ll get the most accurate and comprehensive results by sending a sample to the soil testing laboratory recommended by your local cooperative extension. Your local garden center or nursery can also provide at-home kits, and they often offer end-of-summer discounts, so be on the lookout for deals. Fall garden clean-up saves you labor in the spring. It’s also an opportunity to add to your garden’s soil organic matter and fertility. As you clear out dead plants and debris, remember that bare ground is bad for your garden’s health. Exposed earth is vulnerable to being blown or washed away in windy and wet weather. This strips the topsoil, those upper few inches of dirt that hold the majority of the nutrients plants need to grow. Rather than pulling plants out of the ground, cut them down at the base of the plant and leave roots in the soil. As root systems decompose, they provide nutrition to the beneficial microorganisms that live in the soil. Once old plants are cleared out, consider how you can keep the ground covered over the winter. Planting a cover crop, especially a legume like clover or vetch, adds organic matter and nitrogen to the earth. However, cover crops can add spring labor, as gardeners must till in the plants before new crops go in. For a labor-saving alternative, consider mulching your garden or covering it with a tarp to prevent erosion and maintain moisture. To keep your budget in check, look for coupons on sites like JoinHoney and Coupons.com for your favorite garden center. It’s worth it to spend a little extra for mulch and a tarp, because covered soil also stays warmer than bare earth, which means a head start on spring planting. As you gather dead plants out of your garden, don’t throw them in the trash bin. When green waste ends up in a landfill, it becomes a significant source of harmful greenhouse gases. Composting plant matter instead not only reduces its environmental impact, it also can be an incredible source of fertility for the backyard garden. When dead plants, fallen leaves, shredded branches, and fruit and vegetable scraps decompose, they turn into the rich soil-like material known as compost. By creating compost and adding it to the garden before planting in the spring, gardeners can improve the quality of their soil year after year, not to mention save money on buying soil to keep their gardens lush. Compost is best created in a bin that’s easy to turn and aerate, like these DIY compost tumbler designs from Homesteading.com, which can all be made on the cheap. Healthy soil is the foundation for a beautiful landscape, and although it’s worth the investment, it doesn’t have to cost a lot to maintain. As you’re working outside this fall, think about how you can improve the health of your lawn and garden for a more vibrant growing season. Once warm weather comes around, many homeowners start thinking about what they can do to make their lawns look beautiful without putting in hours on the landscaping every week. When you have a busy schedule, it can be difficult to consider taking the time to mow every five days, pull weeds, or trim the shrubs. That’s why it’s important to do a little planning in the beginning so you won’t have to scramble to get the yard work done -- or spend a fortune on hiring a landscaping service. It also helps to stay organized and arrange for certain jobs to be done on certain days. This way, not only does the yard work get done no matter what else you have going on, but it also allows you to spread it out a little at a time so you’re not working in the hot sun for hours on end. You might make a list of all the outside chores, such as mulching, weeding, mowing, fertilizing, and trimming hedges and trees. Since different plants, trees, and grasses grow at different rates, you won’t have to get them all done at once. The easiest way to save time when it comes to yard work is to plan out a landscape that won’t need much of your attention but still adds to your home’s curb appeal. This might include evergreen shrubs, mulch, and hardy or potted plants that can withstand heat without wilting if you can’t get them watered every day. You can also take up grass space -- meaning areas where you won’t need to mow -- by laying down a brick pathway, stepping stones, or mulch. Just make sure you do it the right way to prevent weeds from growing up. Remember that even the most simple of landscapes will still need your attention, especially if you want to add to your home’s value. Shaggy lawns, weeds, and unattended plants can all draw negative attention to your house and, should you decide to sell, will be a big turnoff for buyers. To avoid becoming overwhelmed with tasks, make a checklist of all the things you need to do within a given week. Pulling weeds may not take any time at all, depending on the size of your yard, but it can add quite a bit of appeal to the aesthetics. Click here for some wonderful tips on how to start a checklist for your lawn. If you have kids, chances are they can help out in the yard, whether it’s just to pick up leaves or to mow now and then. Getting them involved will not only help you stay on top of your chores, it will teach them about responsibility and how to care for other living things as they grow up. Depending on the size of your lawn and the way your home is situated, you may be able to add on a patio or extend the front porch area in order to cut down on the amount of lawn you need to take care of. Creating a functional space can add value to your home if it’s done properly and will save you time in the long run when it comes to mowing and watering. Taking care of your lawn doesn’t have to be a stressful ordeal. With a good plan and a little time management, you can create an outdoor space that is personalized, functional, and beautiful without sacrificing hours of your precious weekend time.